I don’t know how travel bloggers manage to not post a gazillion photos every time they blog about a city as charming as Seville. It took me another day to select these photos but I still ended up with 37 of them. Needless to say, you’re in for another one of my photo-heavy travel diaries. 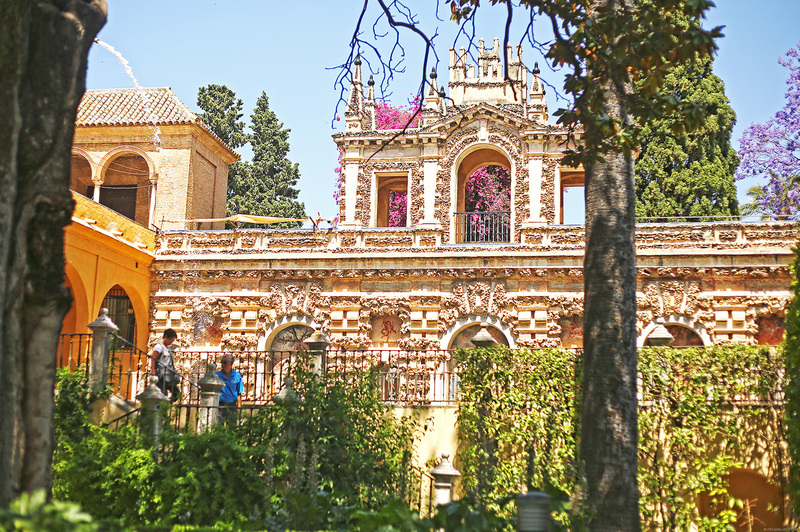 Are you ready to fall in love with Seville as I did? Here goes. 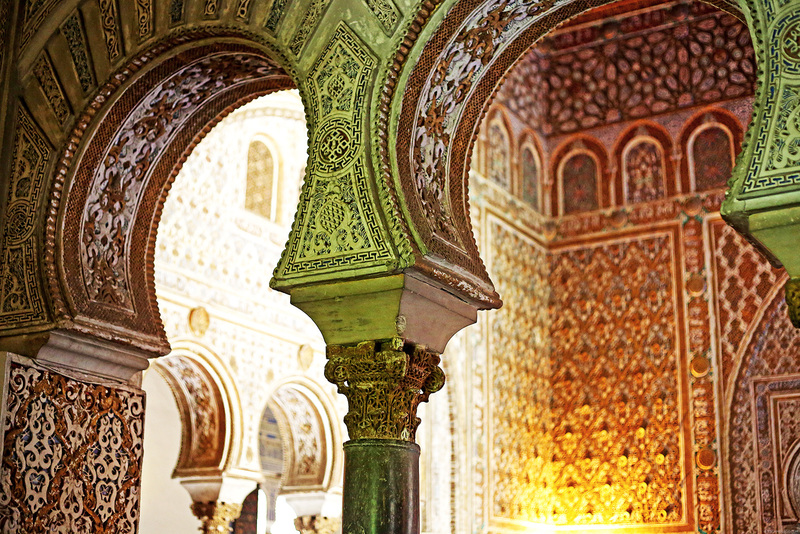 You can’t get any more Andalucian than Seville. Every corner of the city boasts of history and flavor. I wish I can show you all the little streets and alleys we saw. They were all rich in color and character! It may not look like it here but trust me, pictures don’t do Seville justice. This is a view of the city that I took atop Torre Del Oro. 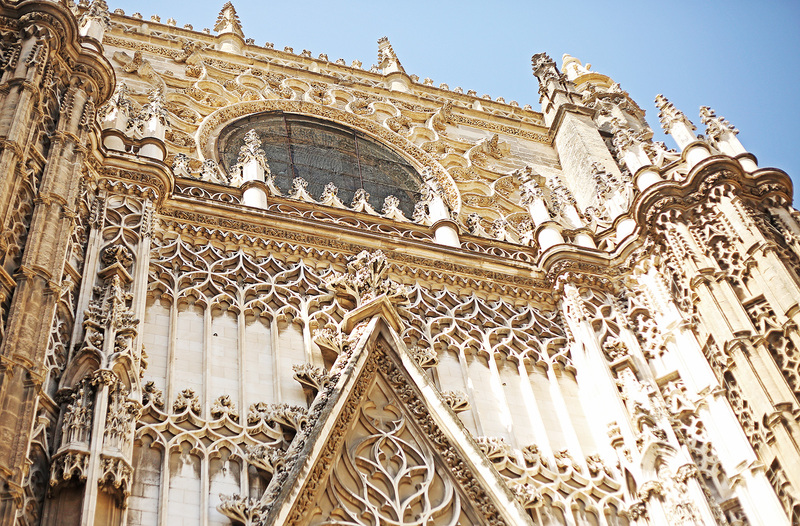 That beautiful structure you see is Seville’s Cathedral, which is just one of the many UNESCO World Heritage sites here in Seville. Its bell tower (the tallest tower in the photo) is called La Giralda. It’s the most famous landmark of the city. Where else can you find street benches covered in colorful ceramic tiles? 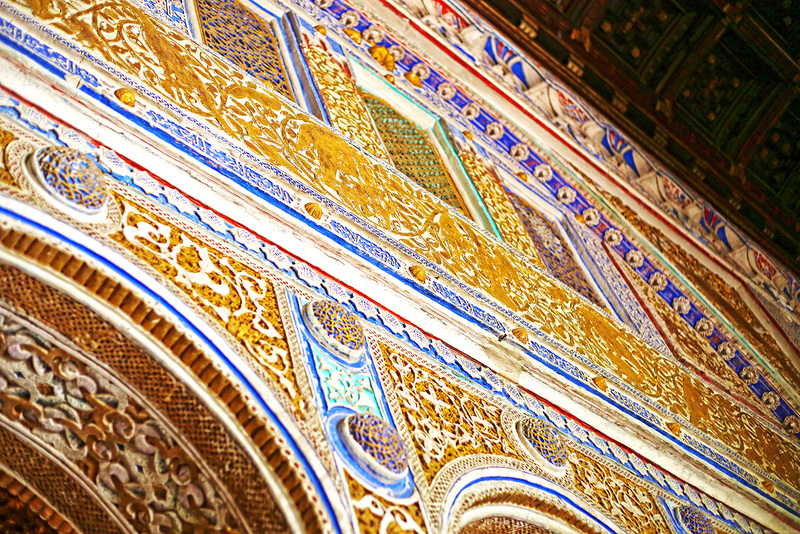 Seville has a rich Moorish heritage so I guess this is why there are plenty of these around Seville. This is the Torre Del Oro or the Gold Tower. We were a bit underwhelmed because Sandy and I thought it was literally a tower made of gold. (LOL!) But after doing some research (because I felt deceived and just couldn’t get over it), I found out that Torre Del Oro was named such because of the golden gleam it projected whenever the sun hits the gold tiles that once covered the tower’s dome. Some believed it got its name because it was where all the gold brought from America were stored but that isn’t true. The Torre Del Oro was built in the first third of the 13th Century as the last wall of defence for the Alcazar Palace (which you’ll see more of later). It’s a military watchtower that also served as a prison in the Middle Ages. Now, it’s a naval museum where engravings, letters, models, antique navigation instruments and historical documents are displayed. The descriptions for these are in Spanish though so I didn’t spend a lot of time there. 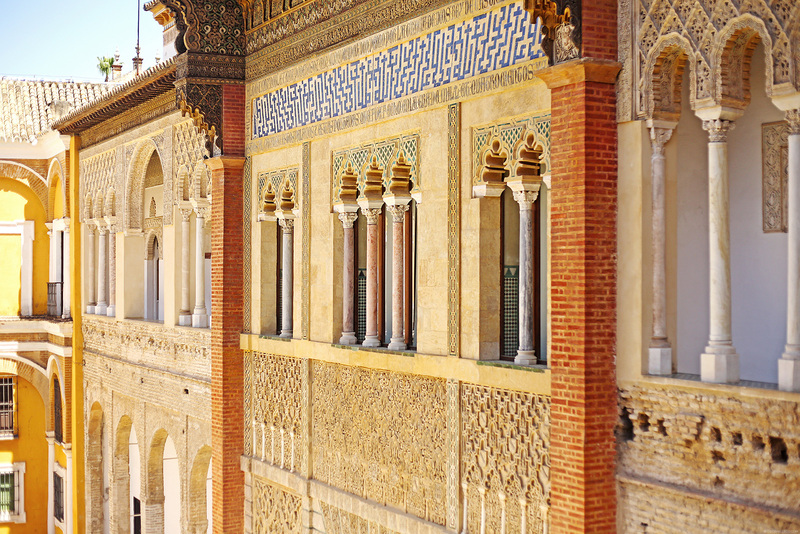 For tourists, I recommend going straight to the top of the tower where you’ll see a nice view of Seville. 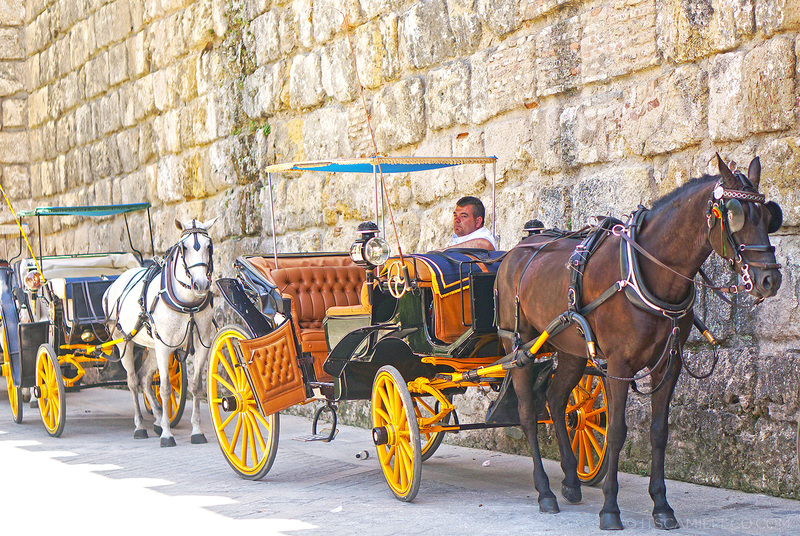 Tourists can ride these horse-drawn carriages to tour around Seville. Most of the tours end at Plaza De España. Flamenco is quite famous in Seville which is why I wish we stayed for at least one night to catch a show. But since we didn’t have enough time, these souvenirs will do. She hand paints each one of them. 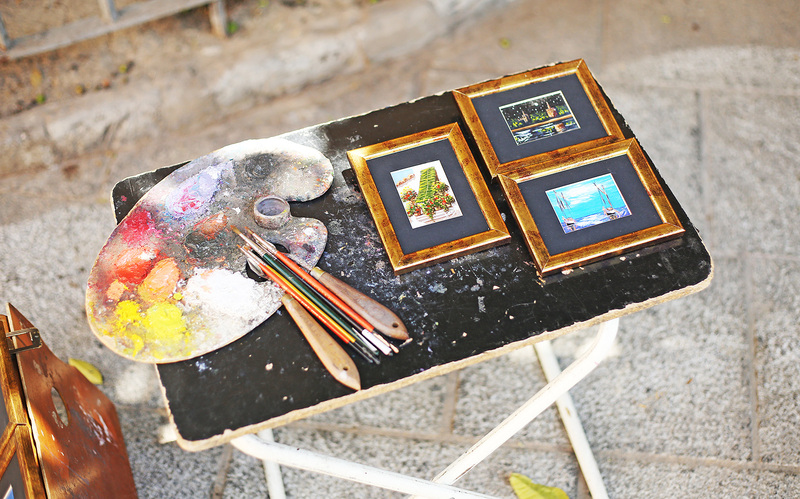 There are plenty of artists along the streets of Seville. I found these outside the Alcazar Palace. 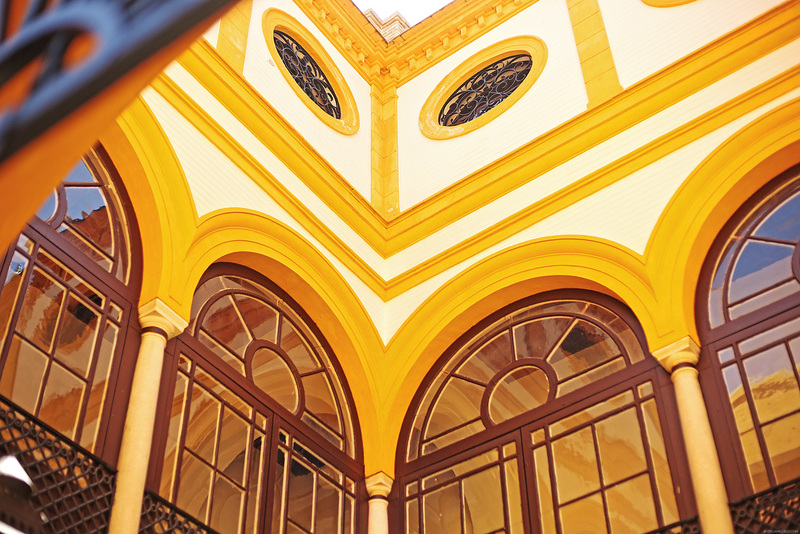 Seville’s main tourist area is Barrio Santa Cruz. Most of the travel websites say that the best tapas in Seville can be found here so in our book, it’s a must to visit this place. Funny how we managed to find it though, we just followed a group of tourists in front of us. We kept following them until we found ourselves in the middle of charming streets and alleys. Obviously, we couldn’t stop taking photos and got all excited. We only realized we were already in Barrio Santa Cruz when I noticed so many of the little souvenir paintings in the stores had the words “Santa Cruz” written on them! 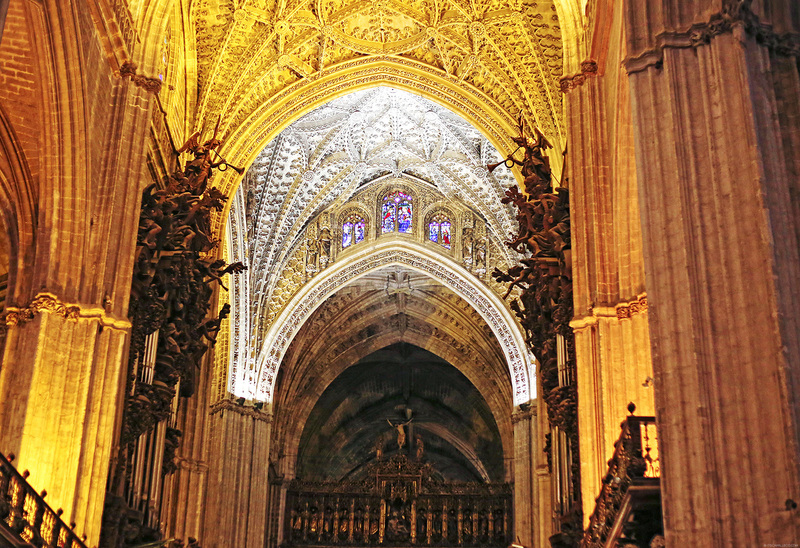 Seville’s Cathedral was built in 1403 and houses the remains of Christopher Columbus. 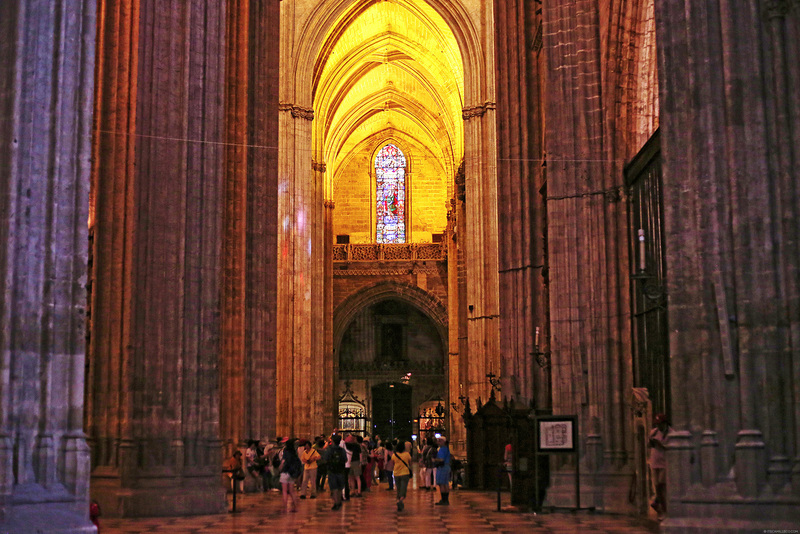 It’s the largest Gothic building in Europe so you can just imagine how grand this cathedral is. 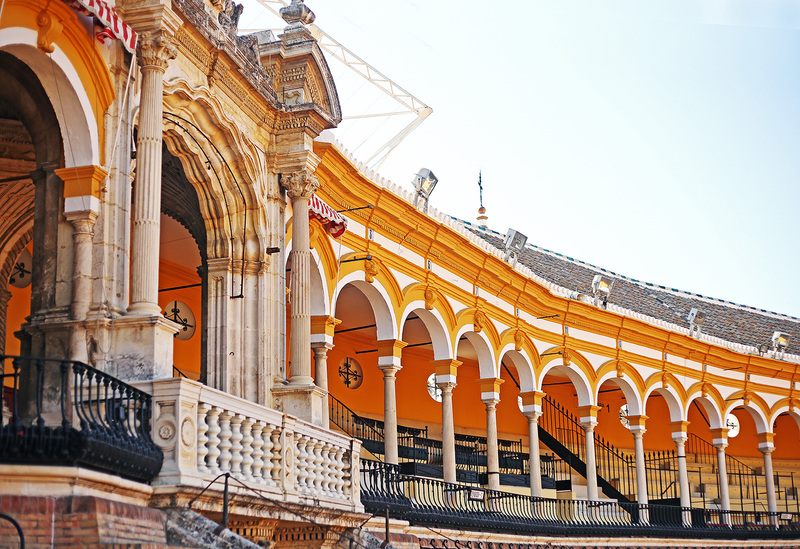 Seville has the oldest bullring in the world–the Plaza De Toros De La Real Maestranza. This box is reserved for the Royal Family only. 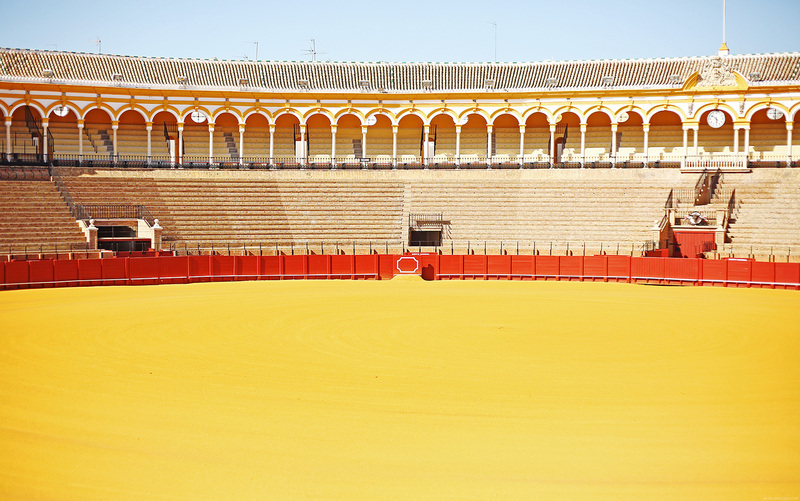 In order to see this bullring, you will need to join a short tour of the place. During the tour, we learned a few things about bullfighting and its fighters. Some of the most famous bullfighters actually died in this ring. 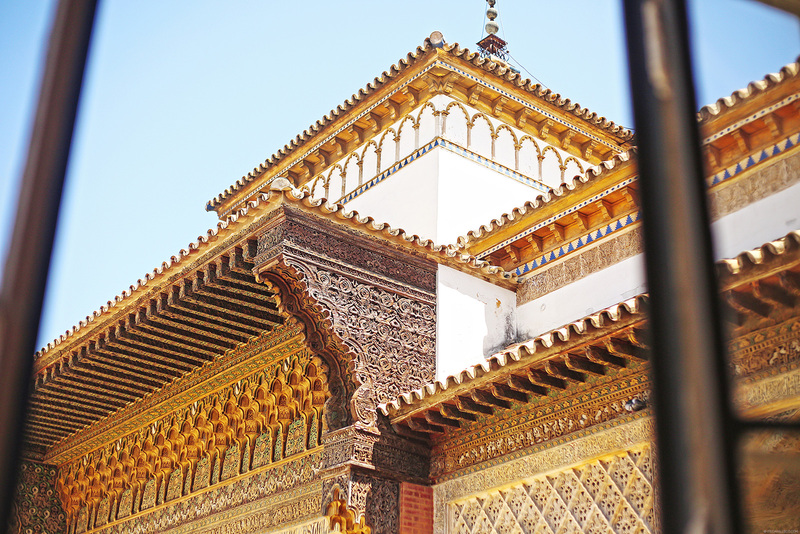 Aside from Plaza De España, the Real Alcázar or the Royal Alcazar Palace is another one of my Seville favorites. It’s a palatial fortress built by the Arabs which was then turned into a royal residence when Peter I, the Cruel renovated it. 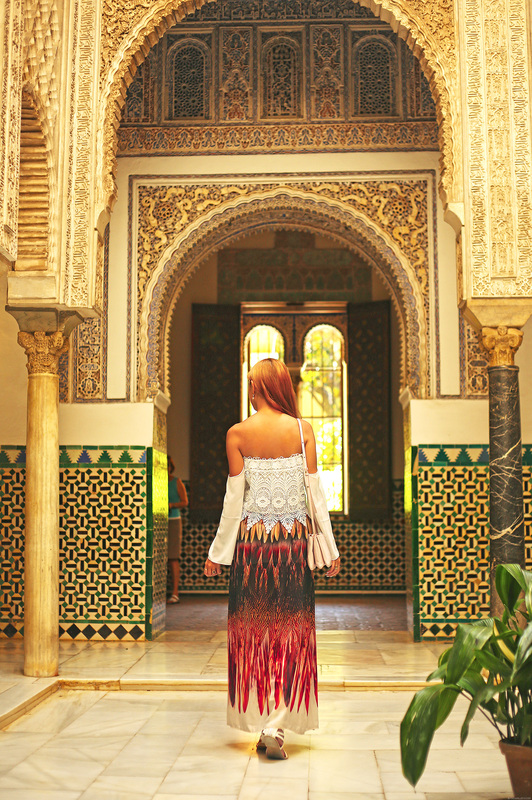 It boasts of several finely worked stuccos, wooden artesonados ceilings, colorful ceramic tiles or azulejos and vast gardens characteristic of Moorish architecture. 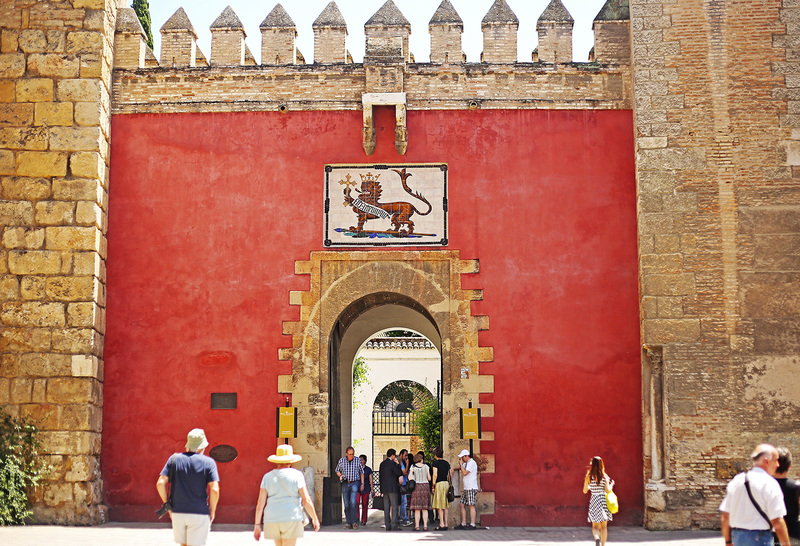 The upper palace is today’s official residence of Their Majesties The Kings of Spain in Seville. 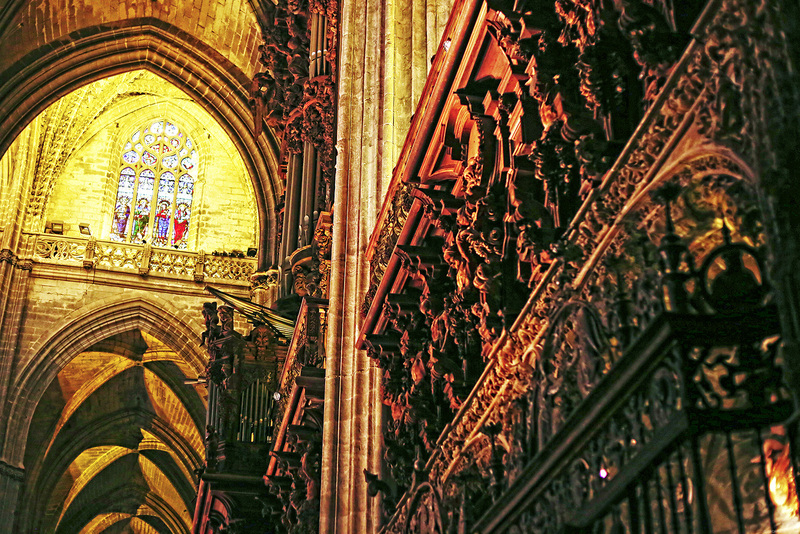 It has undergone plenty of renovations and expansions made by several kings throughout history. Just look at these stuccos and tiles! I’d like these in my house please! 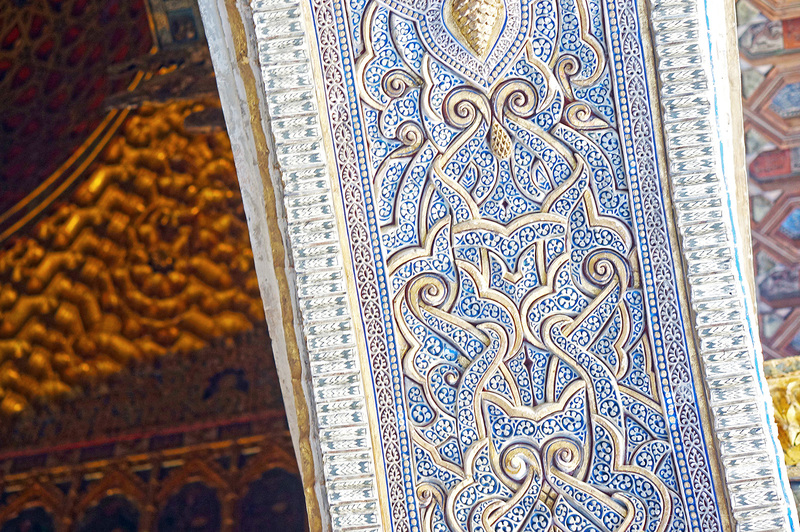 I almost got a stiff neck staring at all the ceilings after touring around Real Alcázar. 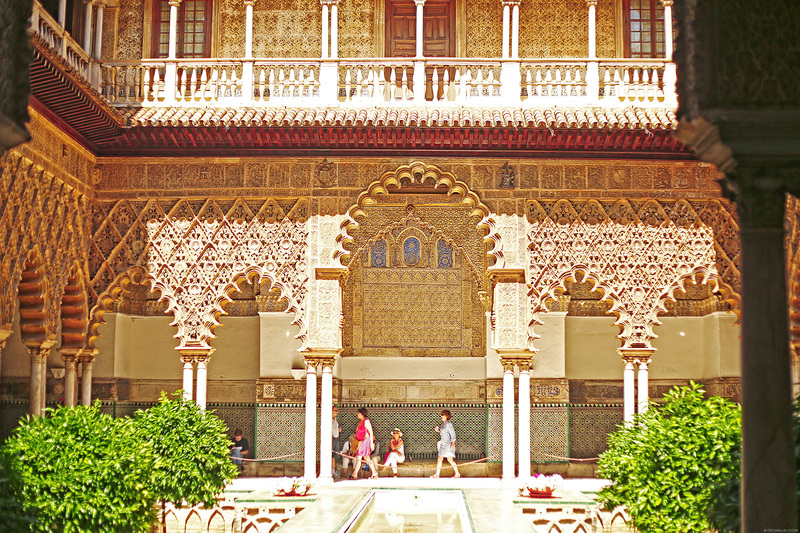 This is one of the many courtyards in the palace that connects the different rooms. If I remember correctly, this is just the servant’s or the asisstant’s courtyard. See? 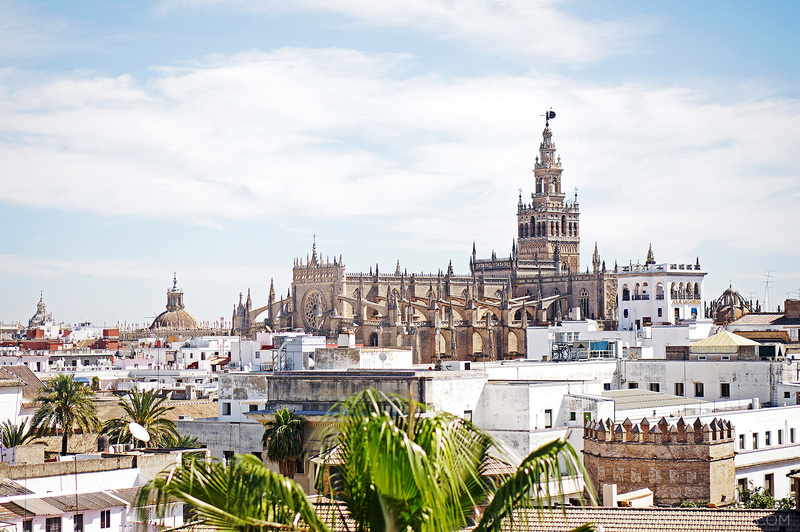 How on earth will you not fall in love with Seville? 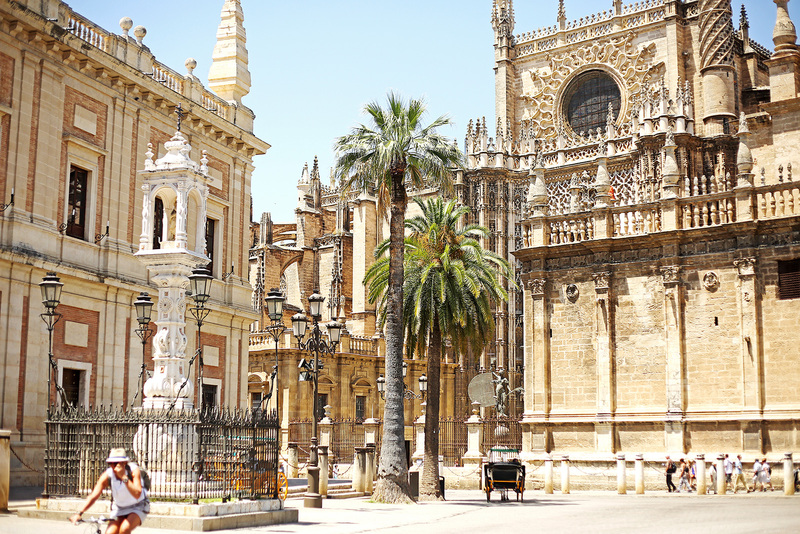 Seville is absolutely gorgeous! Spain will spoil you with so many beautiful cities and towns. 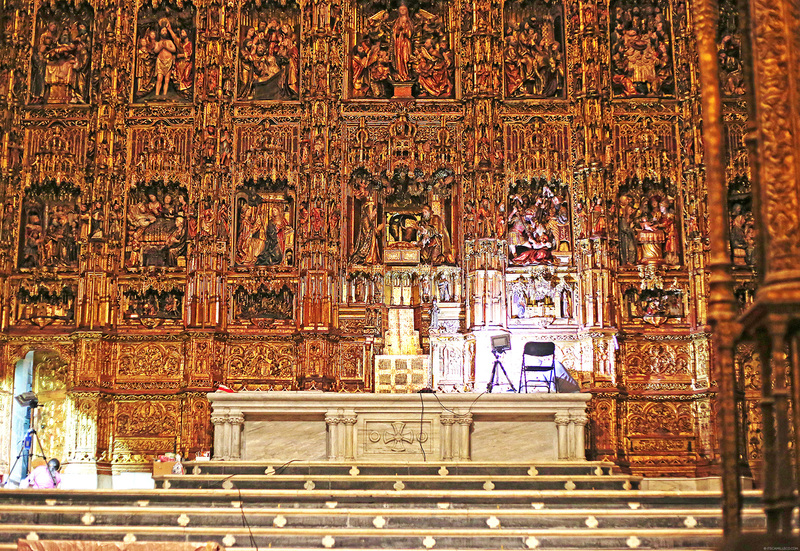 Try visiting Santiago de Compostela, Salamanca, Barcelona, Oviedo, Toledo,Segovia, Santillana del Mar, Santander, Malaga, Valencia, and on and on. Too many to mention here. Viva España! I’ve only been to BCN, Madrid and Seville. Hopefully more to add! Thanks Raymond! Hi Camille! Would you mind if i ask what hotel did you stay in? Or which hotels can you recommend? Thanks Erika! Yes more travel posts for sure! I love how informative your travel entries are, awesome! Ohmygosh :o mapanganga ka sa kgandahan O.O THIS IS REALLY A WORTH IT TRIP FOR YOU noh? :))) GRABE SO BEAUTIFUL!!!! REALLY WANNA GO THERE!!!! IT’S FANTASTIC! Amazing outfit! 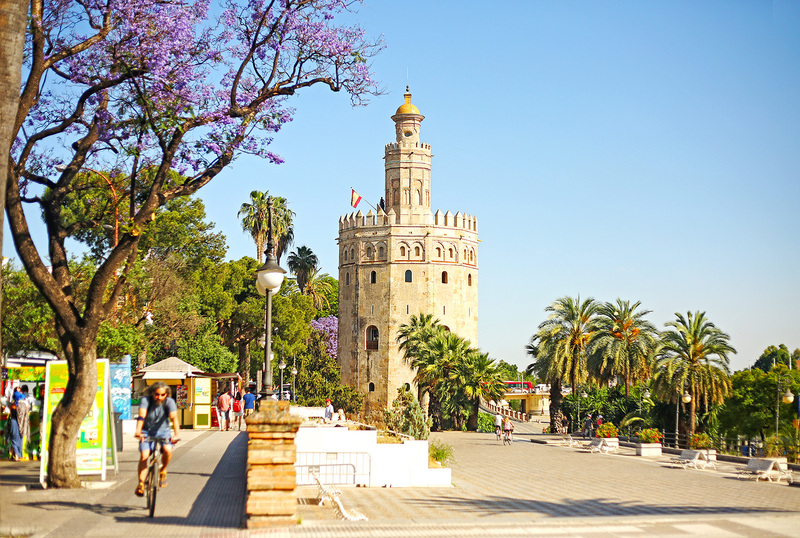 I have a feeling that no matter what a weather is, Seville is always full of sunshine! You are the sunny part of the city! Oh.. The place is beautiful so as you Ms. Camille! One of my favorite posts of yours is when you travel! You really wouldn’t :) Won’t get tired of taking photos of places like this too! 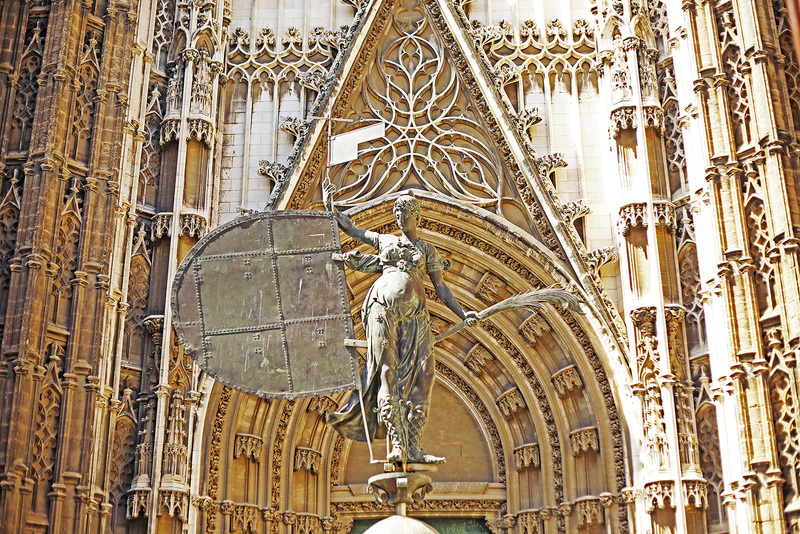 I just read na Seville has Unesco World Heritage sites but I didn’t see photos of Seville. I just thought baka the city has an old world charm so bagay sa ganito. Super lucky that even the colors match my outfit! :) And yes, the outfit was a hit! Wow the place is so nice and you look beautiful as well! My pleasure! 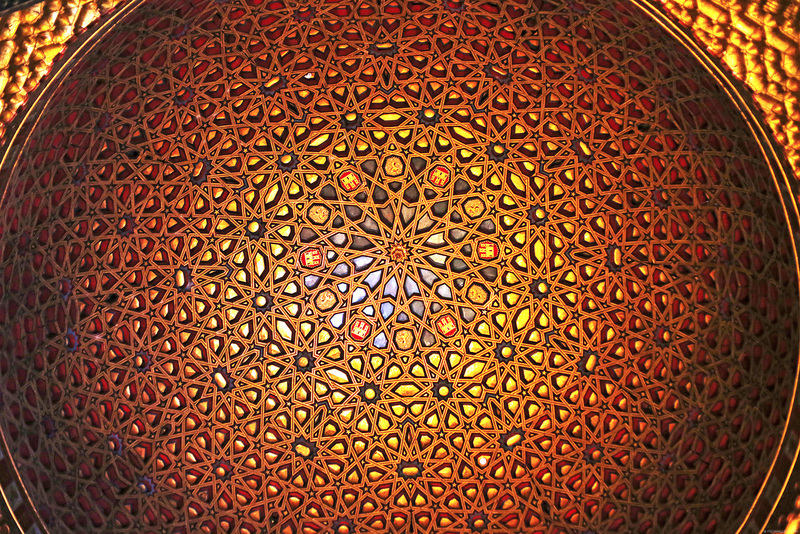 :) Seville is really breathtaking!